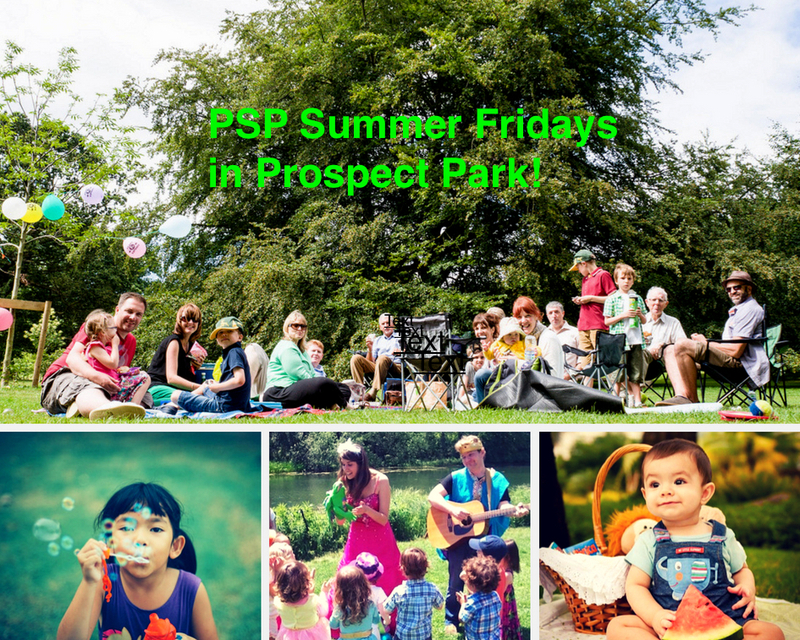 It's time for some Fun in the Sun at PSP's Summer Fridays in Prospect Park! Meet us in the field opposite the picnic house on Friday, June 29th from 3:00pm - 5:00pm. We'll hang a big PSP banner so you can't miss us. Bring the kids , a blanket/chair, some snacks and kick back. We'll bring the GIANT BUBBLES and the AWESOME SUZI SHELTON will provide some awesome locally-sourced music.